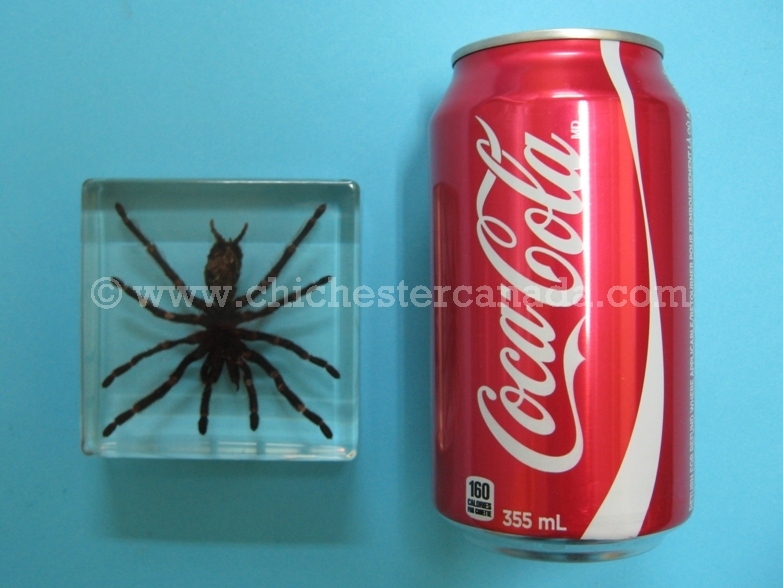 Left: Small Tarantula Mount See the back and a size comparison with a soda can. 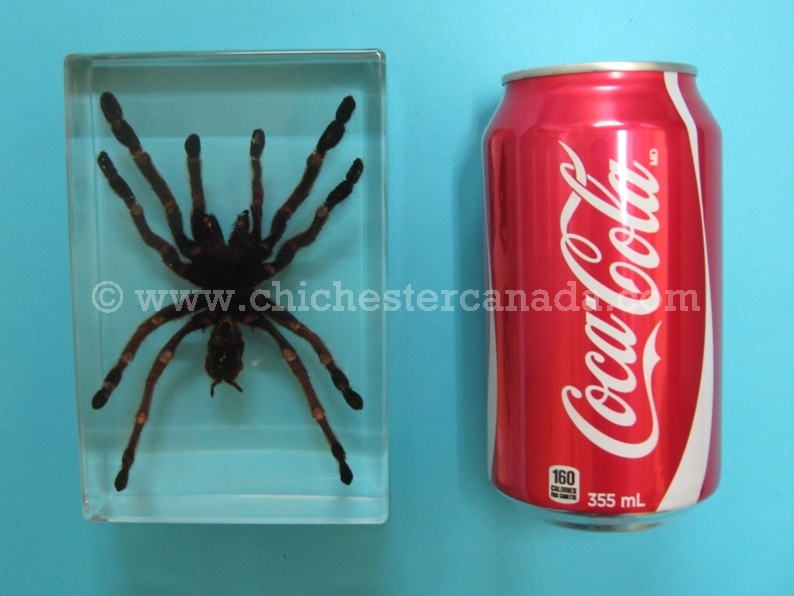 Middle: Large Tarantula Mount See the back and a size comparison with a soda can. 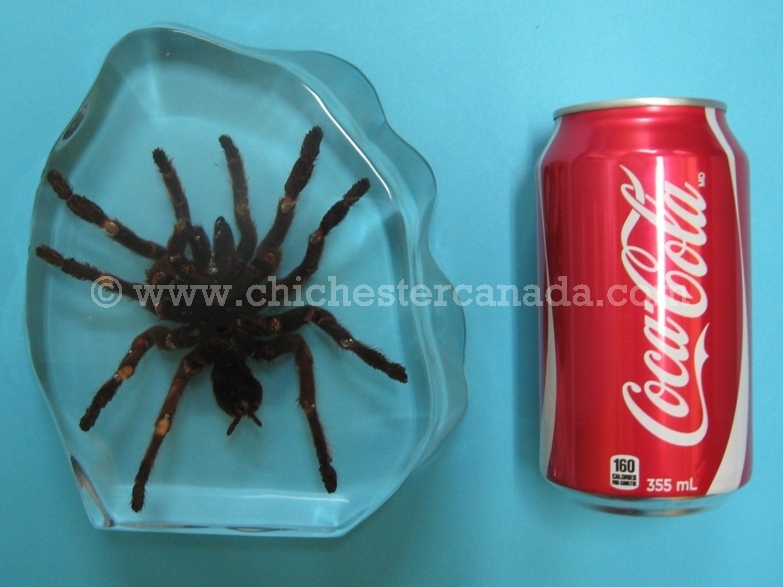 Right: Tarantula Mount See the back and a size comparison with a soda can. These are real Chinese bird spiders, or earth tiger, encased in acrylic. 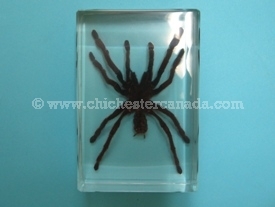 They may or may not come in a lined box. 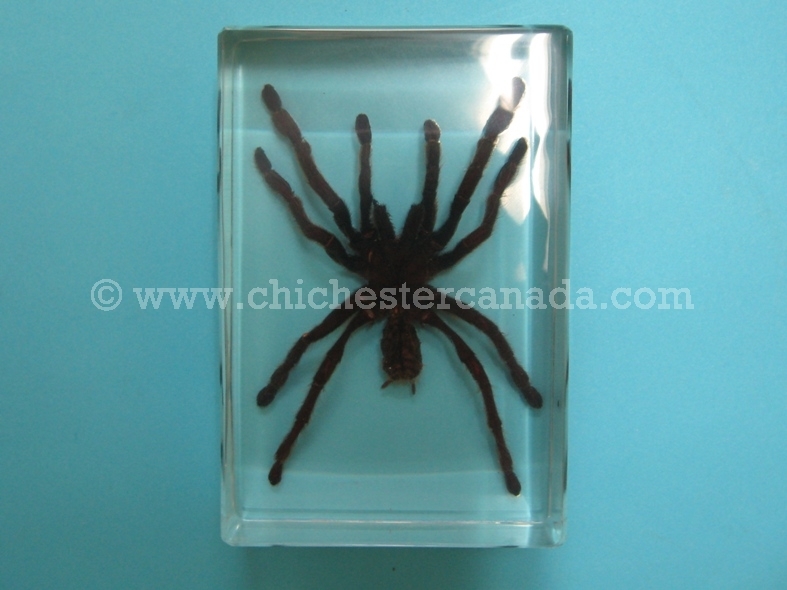 These tarantulas come from the tropical rain forests of southern China. 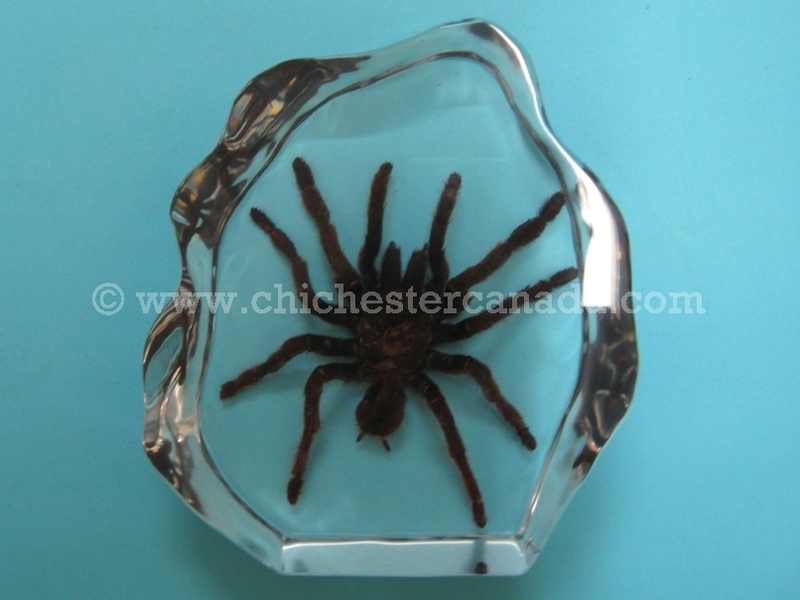 They are a highly venomous species and can bite humans if disturbed. 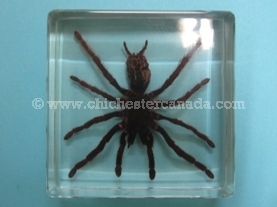 Their venom is a complex neurotoxin that contains compounds capable of blocking neurotransmitters. Genus and species: Ornithoctonus huwena.